The final release of Ionic 2 is out and building modern hybrid mobile apps has become easier and more powerful. Ionic 2 is a complete re-design and re-implementation of the great Ionic framework and is now based on Angular 2. 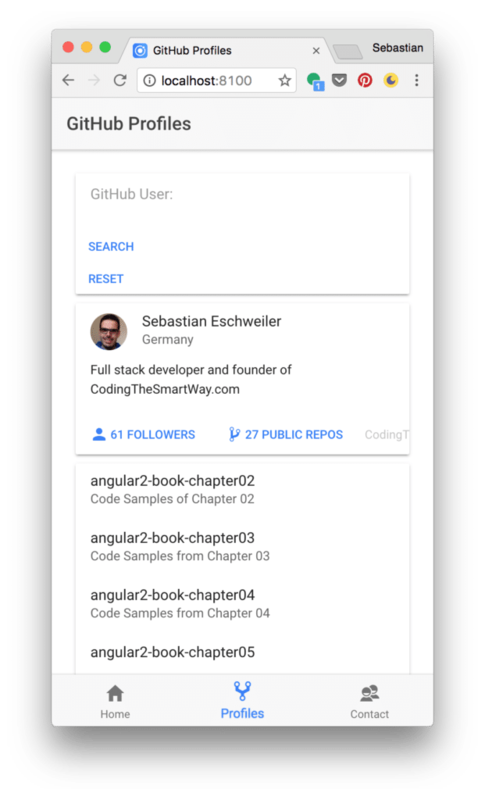 With that new version the Ionic team has improved performance, reduced the complexity of code you need to write, and made it possible to build completely bespoke apps with your existing web development skill set. 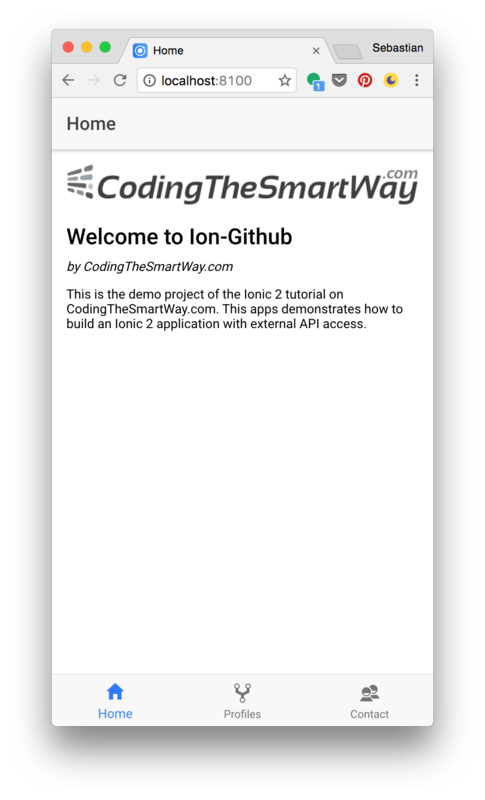 In this tutorial you’ll walk through a practical sample and build a real-world Ionic 2 mobile app with external API access. Enter a GitHub user name and click on button Search to retrieve profile information from the GitHub web service. A new section becomes visible showing some profile details. You can click on the link Public Repos to display a list of repositories which belong to the current GitHub user profile. 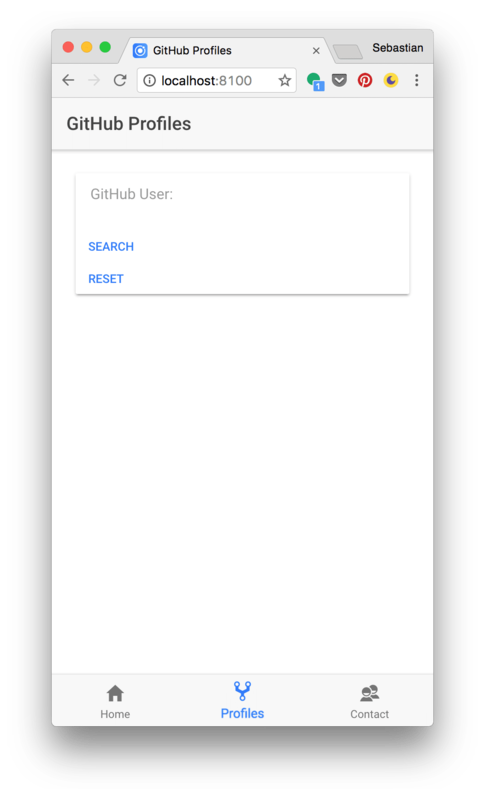 To retrieve user profile and repository data the app uses GitHub REST web services. For sending HTTP request to the web service endpoint we’ll make use of the Angular 2 Http service. As our application should retrieve profile and repository data from the GitHub API, the best idea is to provide a service for that task which contains the code which is needed to communicate with the external API. This command generates a new file github-service.ts in folder src/providers. Let’s use the service class template in github-service.ts to implement the GitHub API access. Generated class for the GithubService provider. The first thing you may notice is that we’re importing the Angular 2 Http service by adding the corresponding import statement. Having imported Http makes it possible to inject this service into the class constructor. 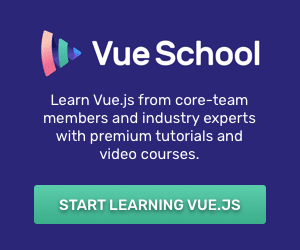 We’re using the public keyword to create a http member variable at the same time, so that we’re able to access this service instance throughout the class. The base URL of the GitHub API is https://api.github.com/users/. 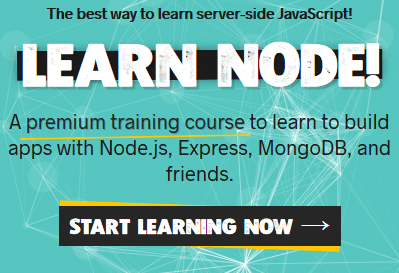 This URL is stored in the class member baseURL. getProfiles(username): This method sends a HTTP GET request to the service endpoint for retrieving user profile data. getRepos(username): This method sends a HTTP GET request to the service endpoint for rerieving repositories for a given user profile. Calling the json method on the response object parses the result of the GET request into JSON format. By adding GithubService to the providers array we make sure that the component injector becomes aware of this provider. Now the injector is able to resolve GithubService when we’re injecting our service class into a component constructor. As we’re configuring the injector on AppComponent level, we’re making sure that GithubService can be injected to all sub components. Generated class for the Profiles page. First we’re adding an import statement for GithubService. With the import of GithubService available we’re able to inject GithubService into the class constructor. Again, by using the private keyword we’re assigning the GithubService object to the class variable githubService at the same time. We’ll use profiles to store the current profiles object in JSON format which is retrieved from the GitHub-API. 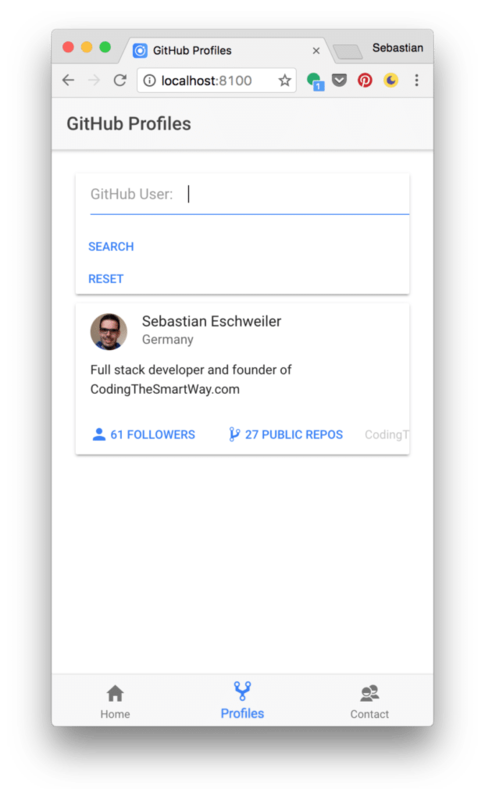 repos will be used to store the repositories of the current user profile and the variable github_user will contain the user name of the current profile. The GithubService is used within methods getProfile(username) and getRepos(username). Both methods takes the user name as a parameter and then makes use of the GithubService by calling the service methods getProfile and getRepos. As both methods return an Observable we’re able to use the subscribe method to attach an arrow function which processes the asynchronous response. In the next step, when we’re implementing the template code for ProfilesPage, we’ll connect those event handler methods to the corresponding UI events. Generated template for the Profiles page. Here you can see that we’re using various Ionic 2 components to build up the user interface. Three <ion-card> elements are used to structure the main content area of the page. 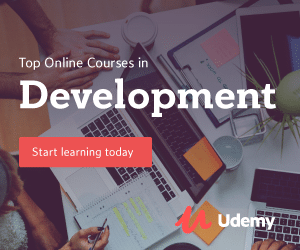 The first sections contains the code which is needed to display a form to the user. This form consists of one input element (<ion-input>) which is bound to the github_user class member. The data binding is implemented by using the ngModel directive. The submit event of the form is connected to the onSubmit event handler method. As you can see, the click event of this button is bound to the showReports event handler method. After having clicked on this button this method perfomes another API call and retrieves the repository data for the current user profile. The third ion-card sections prints out a list of repositories. This section is only included in the output if repository data is available in the repos variable. The ngFor directive is used to iterate over all repositories within the repos object. The click event type of the <ion-item> element is bound to the event handler method repoTapped. This method takes the event object and the current repository as parameters and navigates the user to the RepoDetailsPage. Generated class for the RepoDetails page. The selectedRepo member is declared on class level and initialized in the constructor with the current repository object. The current repository is taken from the navigation paramater repo by using the get method of the navParams object. Just remember, the repo navigation parameter has been filled when initiating the navigation in method repoTapped in ProfilesPage. 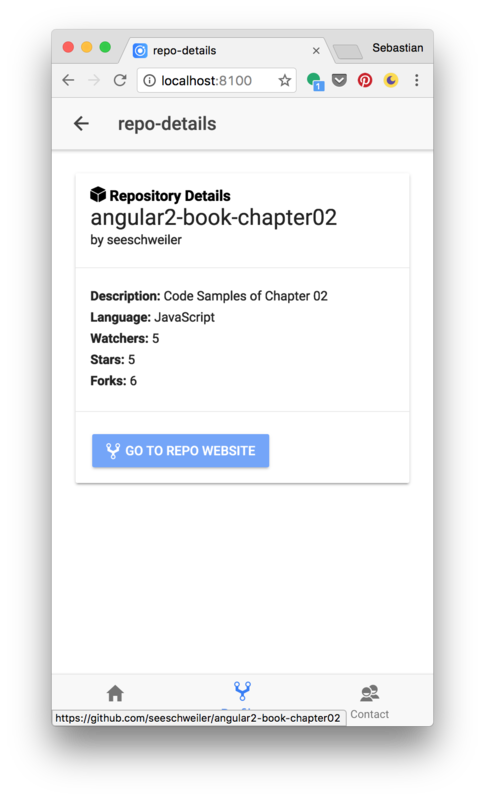 Generated template for the RepoDetails page.